"I was very satisfied with the provided service in all its aspects. First of all I appreciate how easy it was for me as an end-user (not good in an IT matters) to send the radiology pictures to the respective doctor. Also short report on successful payment and other reports about progress of works ensured me about credibility of this portal. The report from Professor Edwin van Beek was clear and easily to be understood also for me as a non-medical person. I feel that I got from Professor van Beek all information that I sought and even more. The report from Professor van Beek exceeded my expectations. I would like to thank Professor van Beek for his work, his opinion and his comprehensive report. Monika Cambalikova, Slovakia "
I have been working in the field of Diagnostic Imaging since 1990, first for PhD in the diagnosis and management of pulmonary embolism, subsequently I have underwent Radiology training. 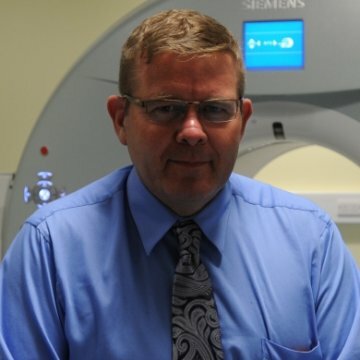 I moved to UK in 1999, and established PET service as well as pulmonary MRI programme. In 2004, moved to USA, and established cardiac CT service and participated in thoracic and oncologic imaging programme. I received a very well written report from Professor van Beek which addressed my concerns. I would recommend his service to anyone who would like reassurance and more information from previous imaging. I am so pleased that Professor van Beek read my scans, and produced a report that articulated details in a patient friendly language. He is an asset to diagnose.me and a valuable resource to patients looking for more information. Best Wishes and thank you Professor. Professor van Beek delivered his report well within the published timescale. The report was written in an excellent style that gave me a much better understanding of previous test results. Having this additional information has been extremely helpful to me. I also took the opportunity to ask Professor van Beek a further question on an item in his report. He responded quickly and had the great skill of understanding what I was really asking for and articulating the reply in a clear and concise format. Thank you for your help. I was very pleased to receive my report from Professor van Beek, the bad news that I had been fearful of proved not to exist. So I am more than happy. The report was delivered sooner than I expected and was easy to understand. Thank you very much for your help in this matter Professor. I am very pleased to have rapid confirmation that the initial all clear was correct. All in all I consider your service to be exemplary. Comparison of contrast-enhanced MRA and DSA for the diagnosis of pulmonary embolism: results of a prospective study in 141 consecutive patients with an abnormal perfusion lung scan. Oudkerk M, van Beek EJR, Wielopolski P, Brouwers-Kuyper EMJ, Bongaerts AHH, Berghout A. Comparison of contrast-enhanced MRA and DSA for the diagnosis of pulmonary embolism: results of a prospective study in 141 consecutive patients with an abnormal perfusion lung scan. Lancet 2002;359:1643-1647. CT and MRI of pericardial and cardiac neoplastic disease. Van Beek EJR, Stolpen AH, Khanna G, Thompson BH. CT and MRI of pericardial and cardiac neoplastic disease. Cancer Imaging 2007;7:19-26. Comparison of hyperpolarised 3-He MRI and HRCT in normal volunteers, patients with COPD and patients with alpha-1-antitrypsin deficiency – PHIL trial. Van Beek EJR, Dahmen AM, Stavngaard T, Gast KK, Heussel CP, Krummenauer F, Schmiedeskamp J, Wild JM, Vejby Søgaard L, Morbach AE, Schreiber WG, Kauczor HU. Comparison of hyperpolarised 3-He MRI and HRCT in normal volunteers, patients with COPD and patients with alpha-1-antitrypsin deficiency – PHIL trial. Eur Resp J 2009;34:1-11. 18F-Fluoride positron emission tomography identifies ruptured and high-risk coronary atherosclerotic plaque. Pulmonary arterial enlargement and acute exacerbations of COPD. Wells JM, Washko GR, Han MK, Abbas N, Nath H, Mamary AJ, et al for COPDGene and ECLIPSE Study Investigators. Pulmonary arterial enlargement and acute exacerbations of COPD. New Engl J Med 2012;367:913-921.